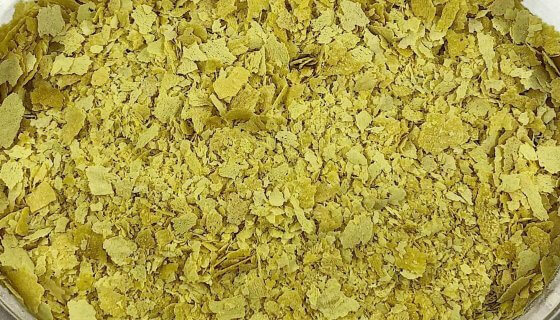 Nutritional Yeast Flakes ToastedNutritional Yeast Flakes Toasted Golden toasted flakes of inactive yeast are a wonderful way to add a savoury, cheese like flavour to recipes. They are great in dips, salad dressing, sauces and spreads, or sprinkled directly over salads and hot dishes as a condiment. This Nutritional Yeast is made from a variety of Sarrcharomyces Cerevisiae (aka: brewer’s yeast) that is produced on sugar beet molasses, before it is dried and flaked. 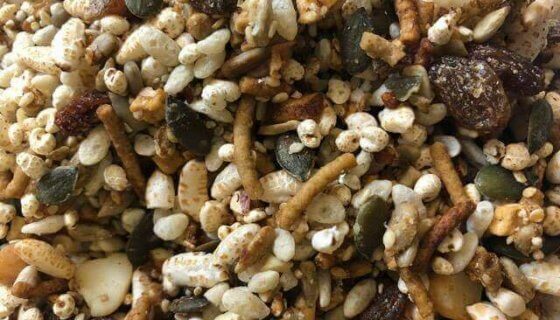 During the fermentation process these flakes are fortified with nutrients – including folic acid (average 215 mcg per 10 g serve). 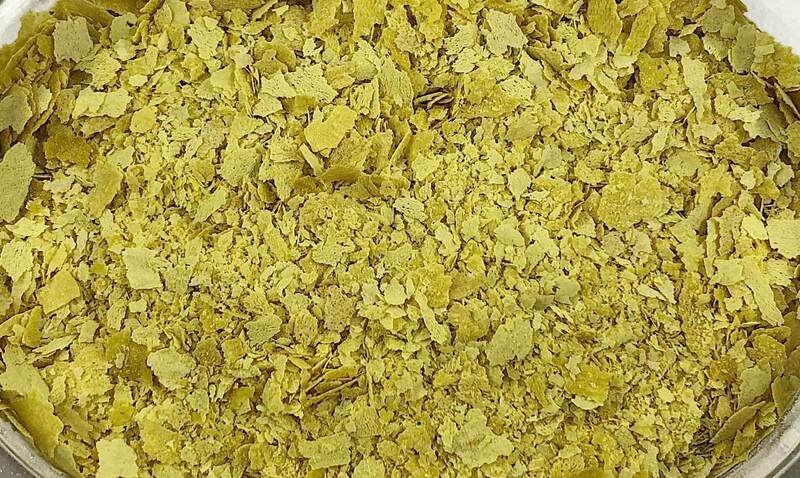 How to Use:These Toasted Nutritional Yeast Flakes are a delicious addition to any number of raw or cooked savoury recipes. Combine with Tahini for a delicious spread or dip, or as a base for sauces and dressings. Use yeast flakes in place of cheese in fresh basil or coriander pesto.For yummy pasta sauce, gently simmer coconut milk till slightly reduced before adding crushed nuts and veggies of choice. Stir in 2-3 tablespoons of toasted yeast before serving.Toss hot popcorn in flakes for a moreish cheesy flavour. Or add a few spoons to mashed vegies, smashed avocado, savoury crepe fillings or scrambled eggs. Sprinkle over fresh salads or soups, rice dishes and hotpots as a scrumptious condiment. A quick and convenient taste sensation to keep in the pantry.Ingredients: Inactive Yeast (fortified with Folic Acid; average 215 mcg per 10 g serve).Preservative Free, Non GMO.Allergens:No Known Allergens. This product may contain traces of Allergens.Storage:Store in an air tight container in a cool, dry place, away from direct sunlight. Refrigeration recommended in warm climates.Shelf Life:Up to 36 months when stored as above. See Best Before date.SKU: 50112. 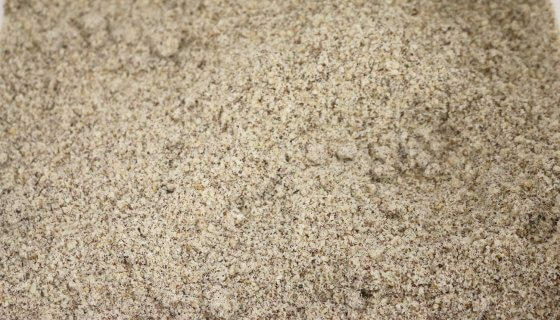 Golden toasted flakes of inactive yeast are a wonderful way to add a savoury, cheese like flavour to recipes. They are great in dips, salad dressing, sauces and spreads, or sprinkled directly over salads and hot dishes as a condiment. This Nutritional Yeast is made from a variety of Sarrcharomyces Cerevisiae (aka: brewer’s yeast) that is produced on sugar beet molasses, before it is dried and flaked. During the fermentation process these flakes are fortified with nutrients – including folic acid (average 215 mcg per 10 g serve). Inactive Yeast (fortified with Folic Acid; average 215 mcg per 10 g serve).